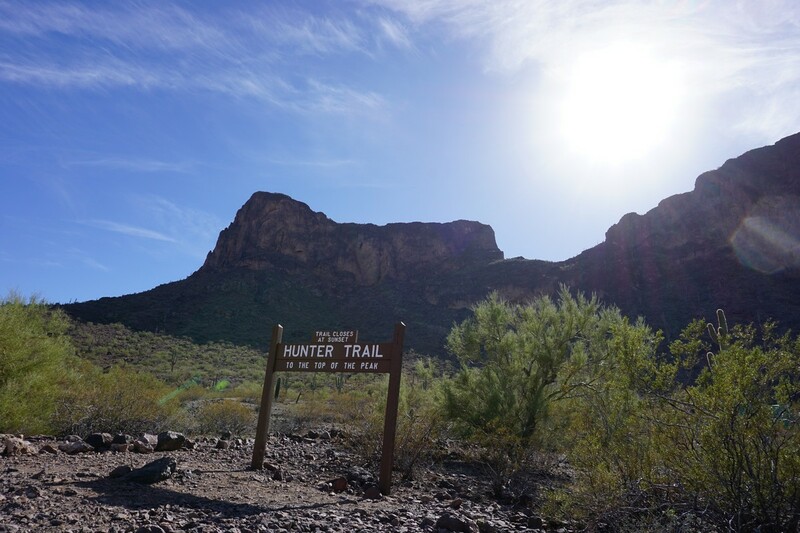 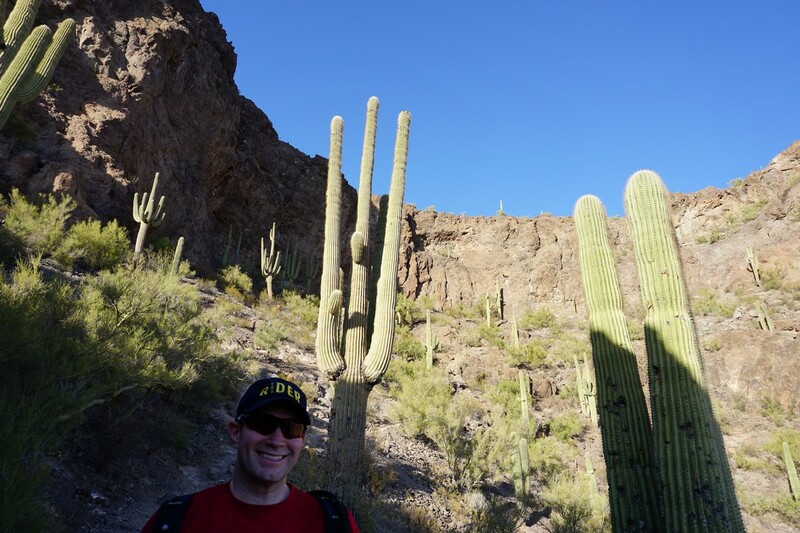 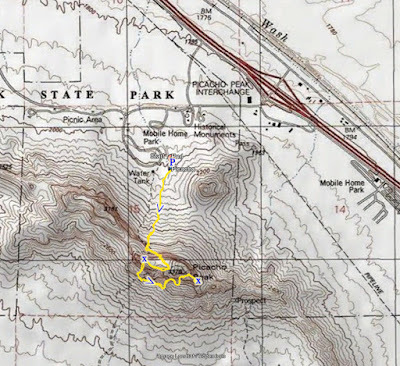 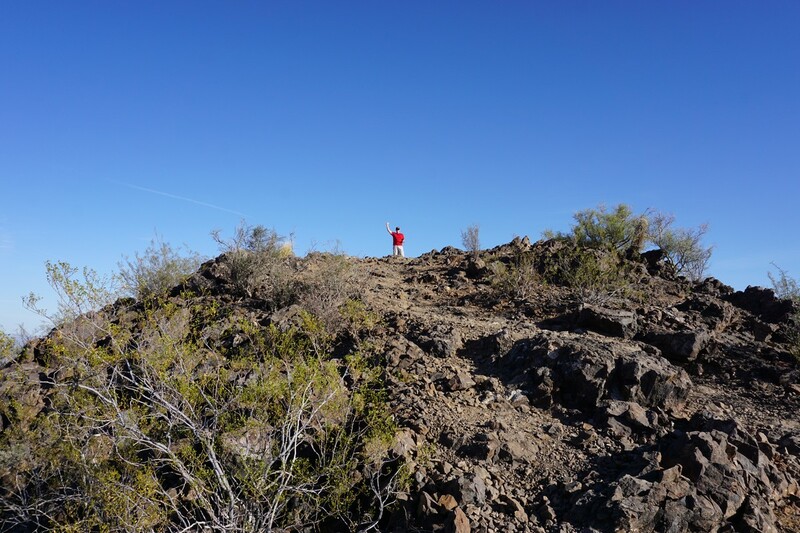 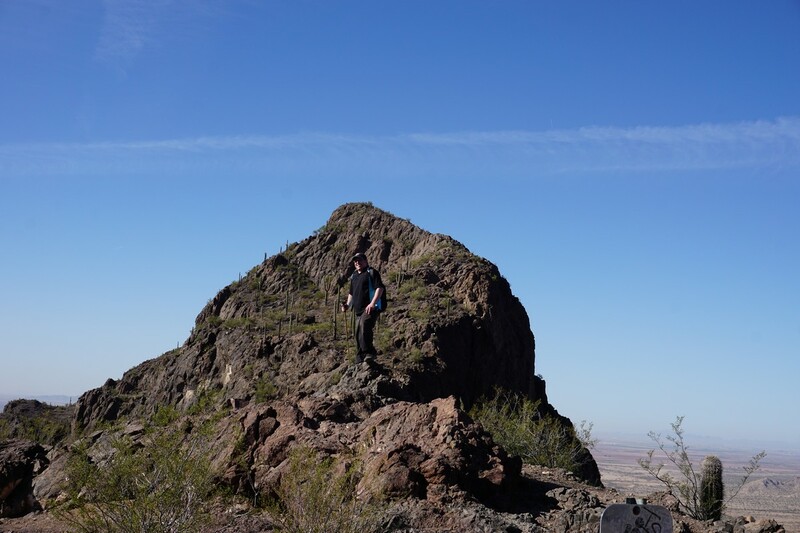 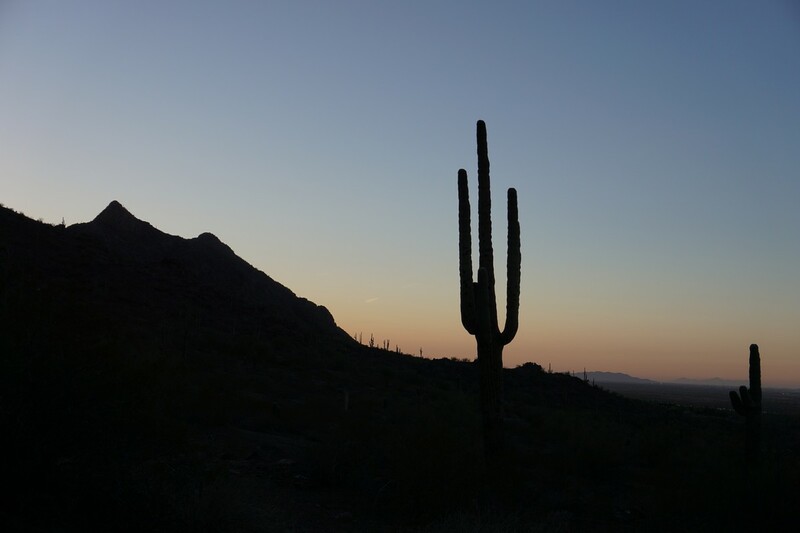 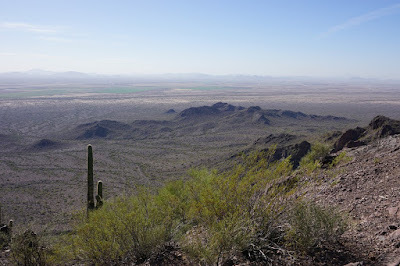 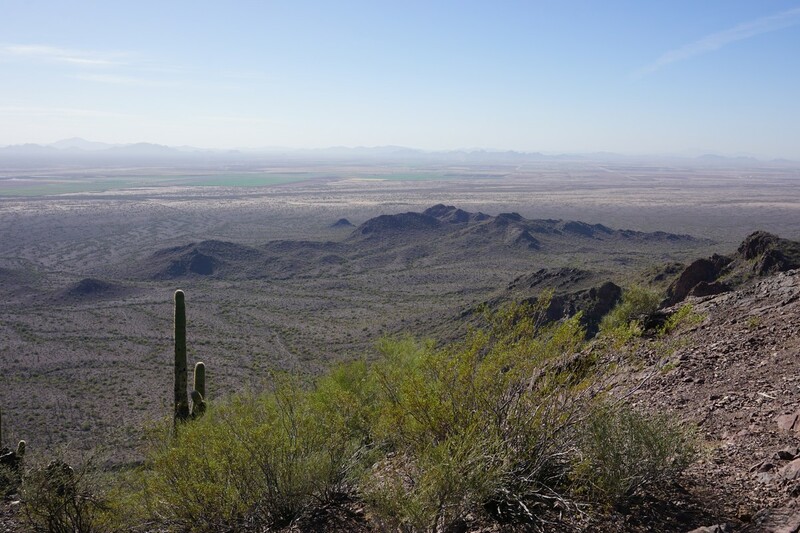 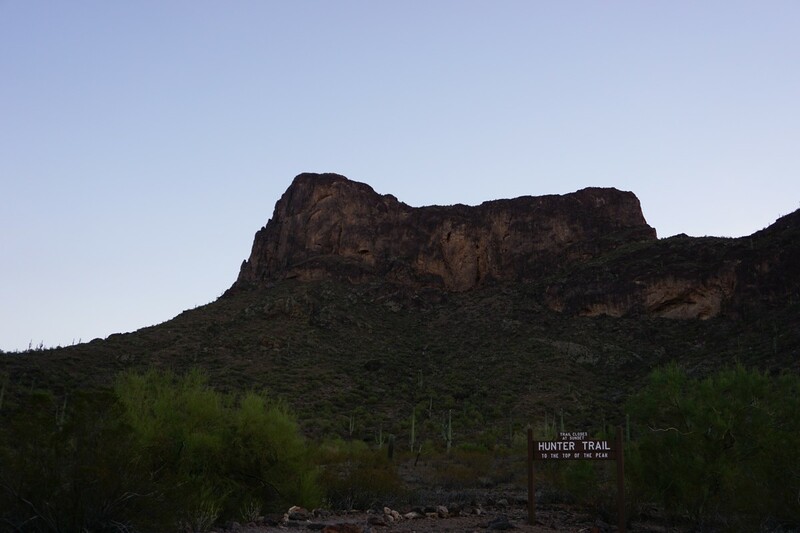 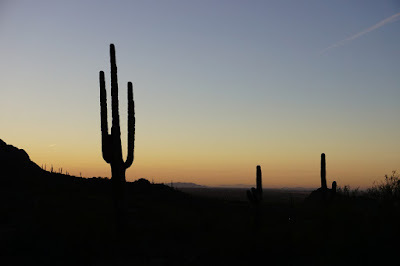 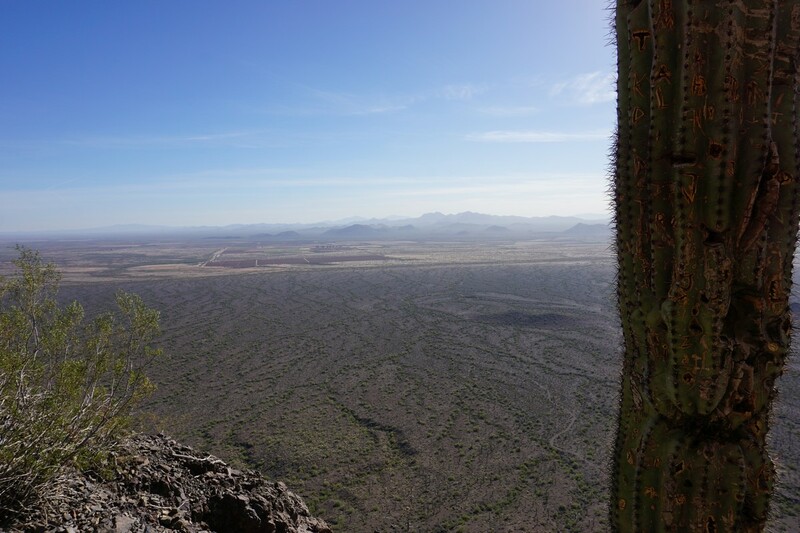 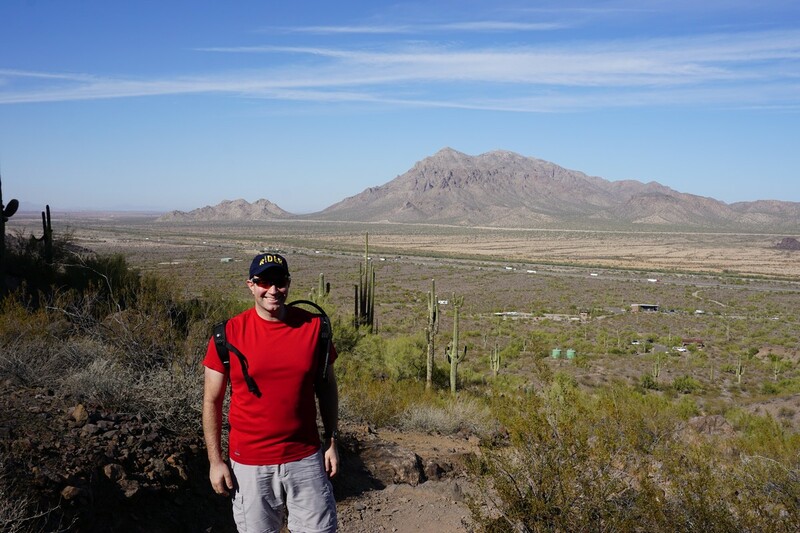 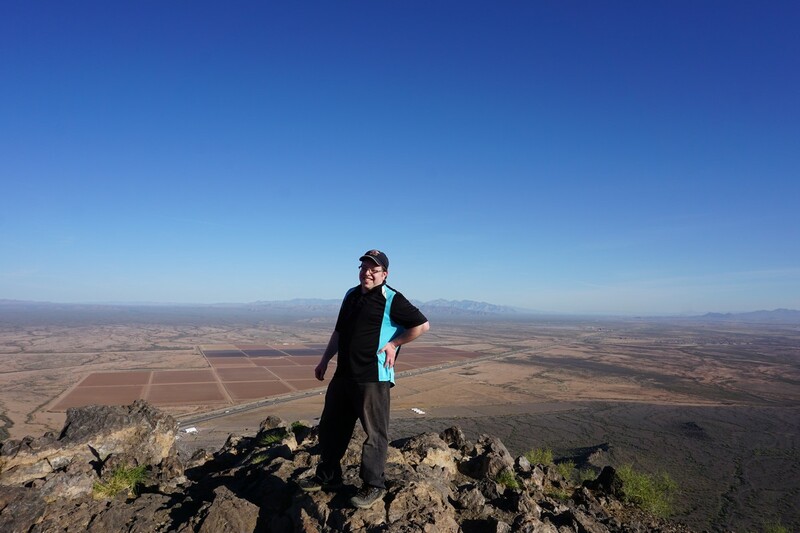 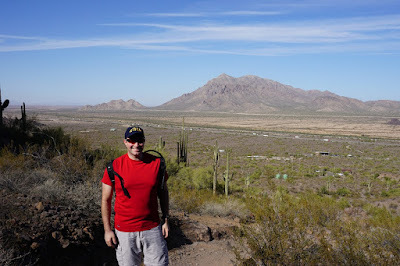 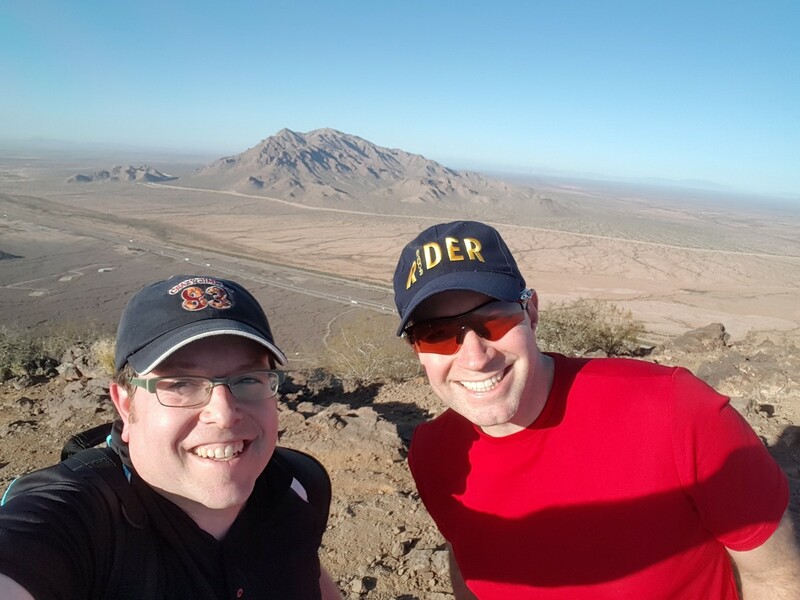 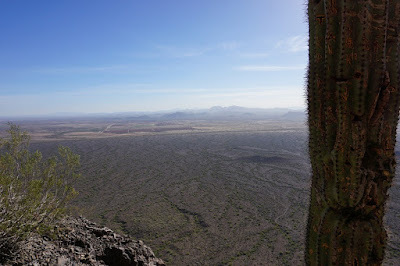 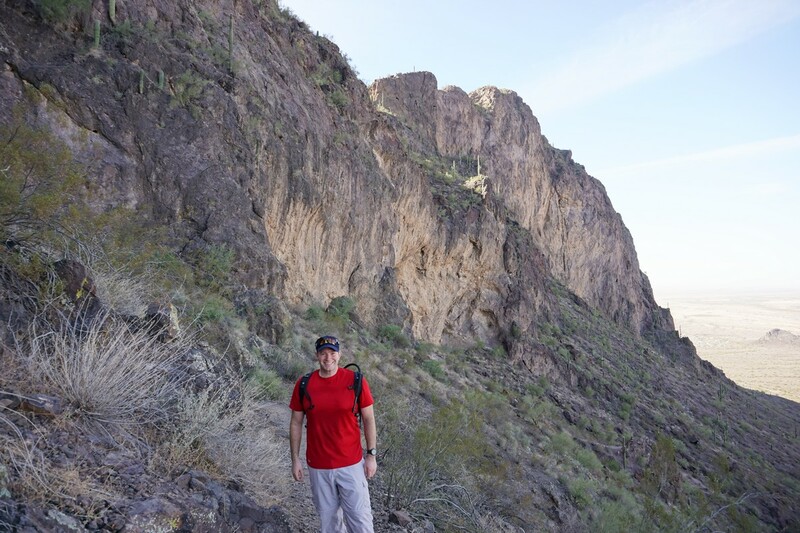 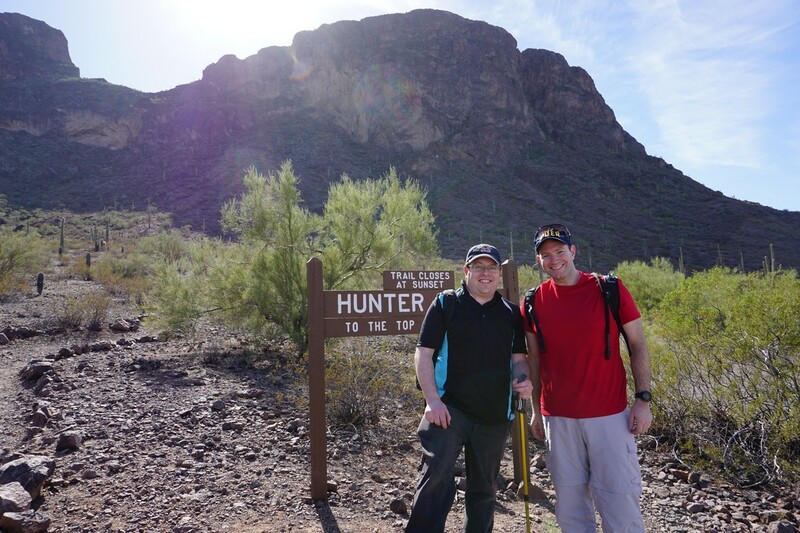 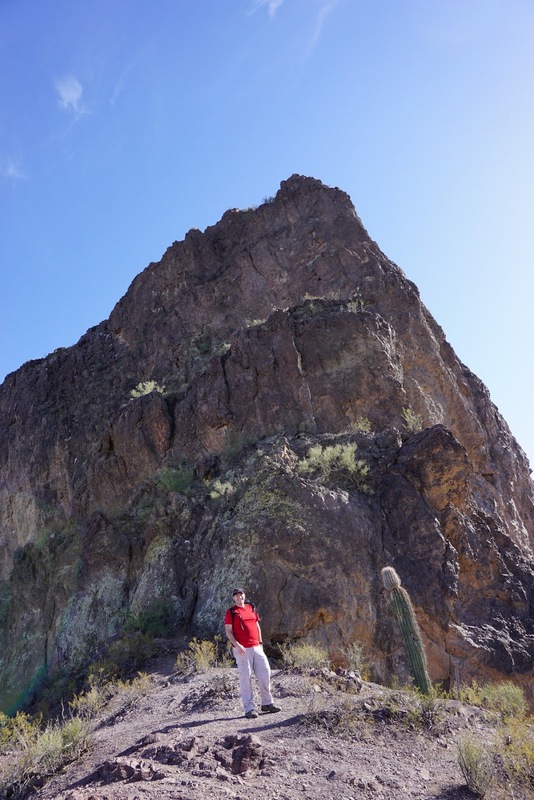 I had made a trip to Arizona to attend a tradeshow, and I ended up taking a few hikes during my trip. I was fortunate to travel with my good friend and hiking partner Yehudah Koblick. 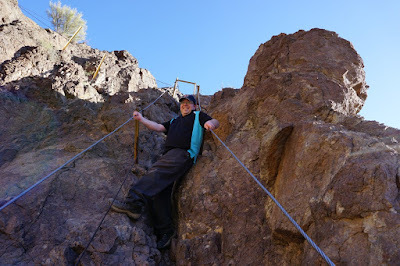 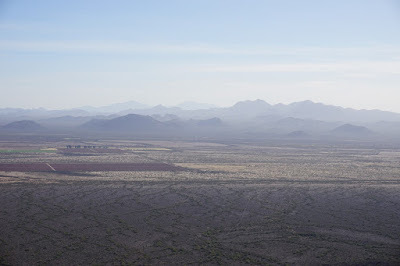 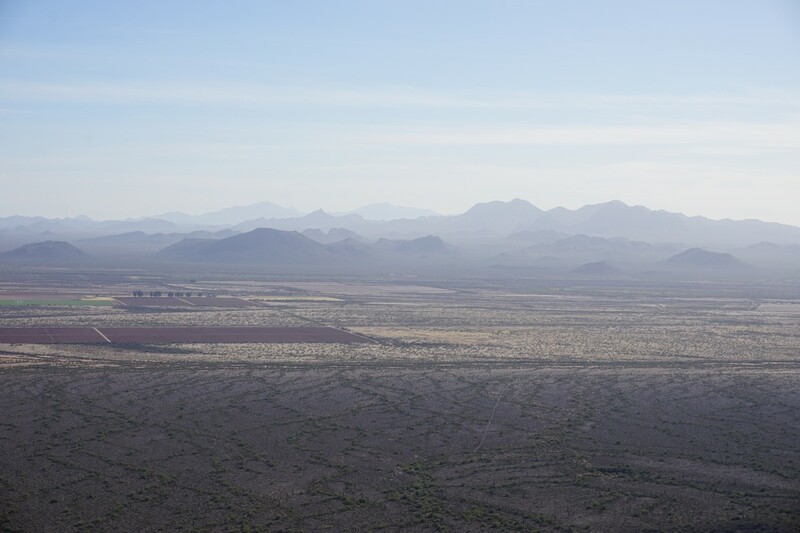 We had great weather during our Arizona trip, with bright sunny days and a high 80 or above. 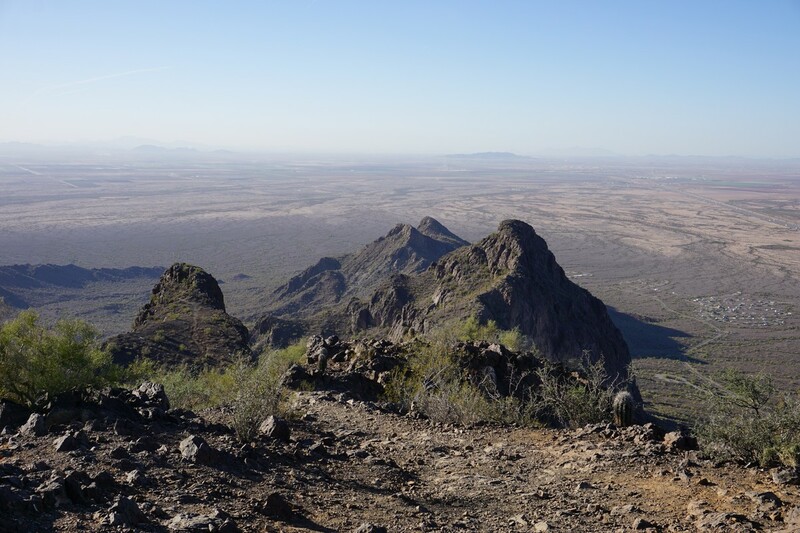 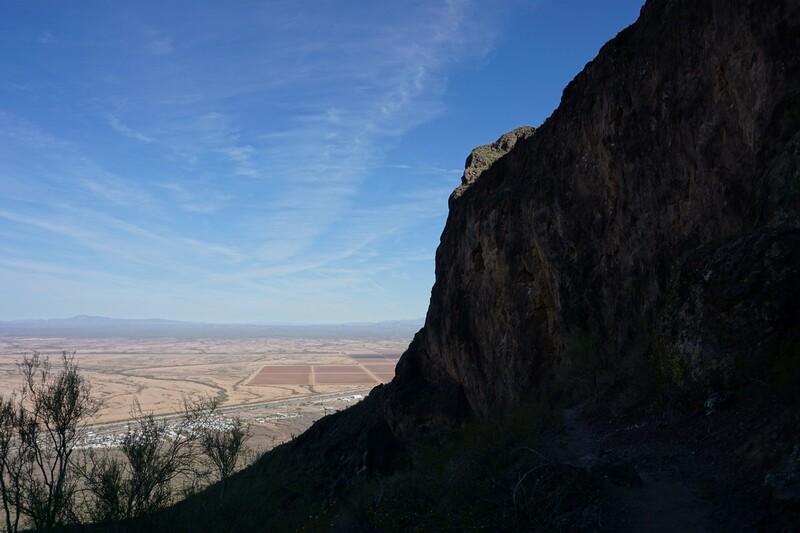 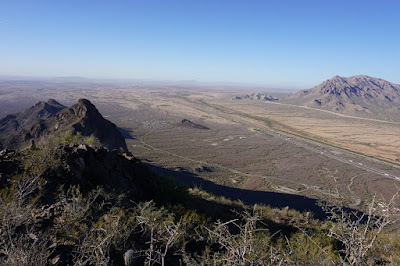 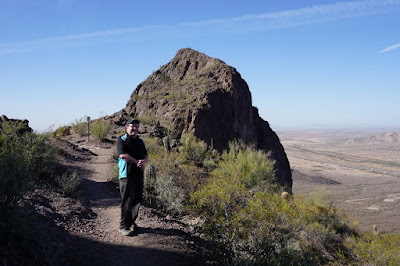 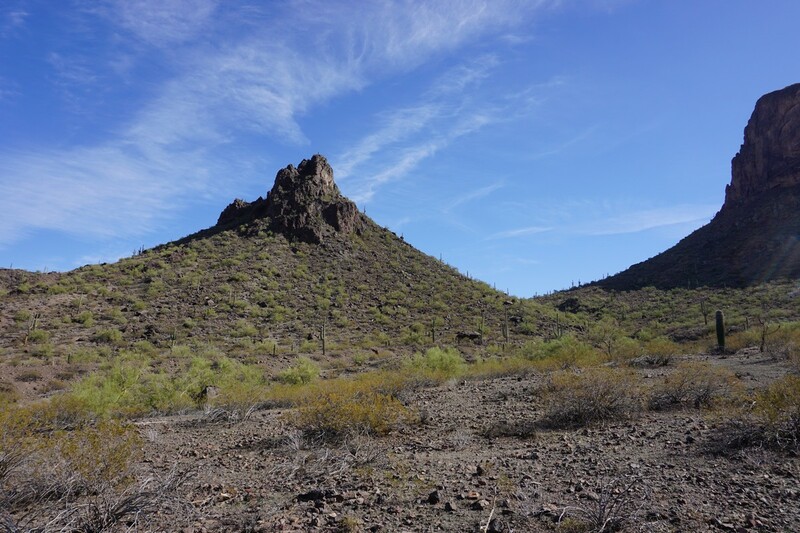 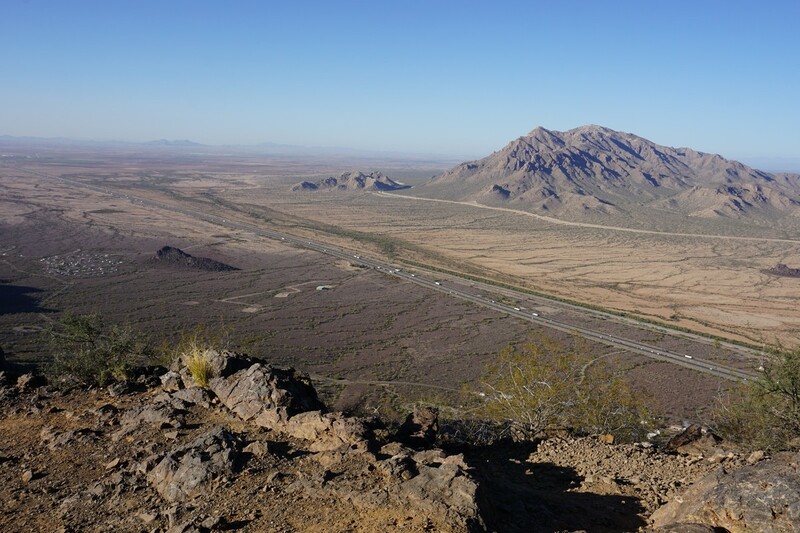 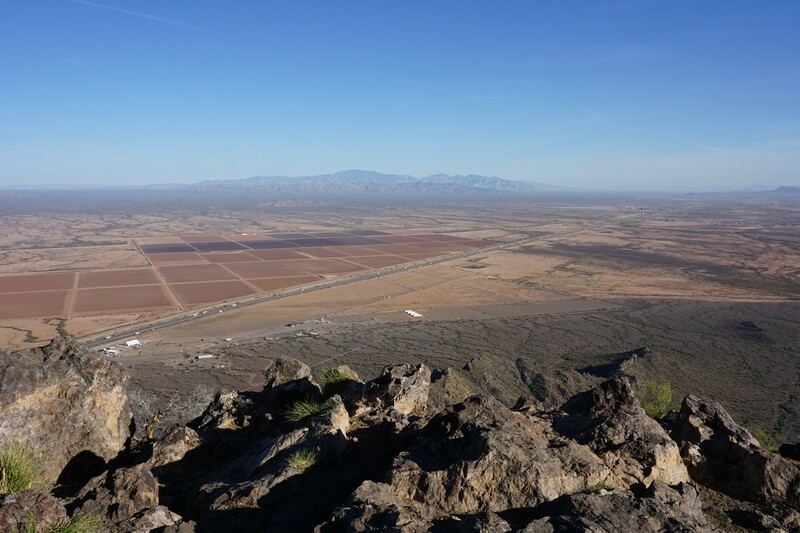 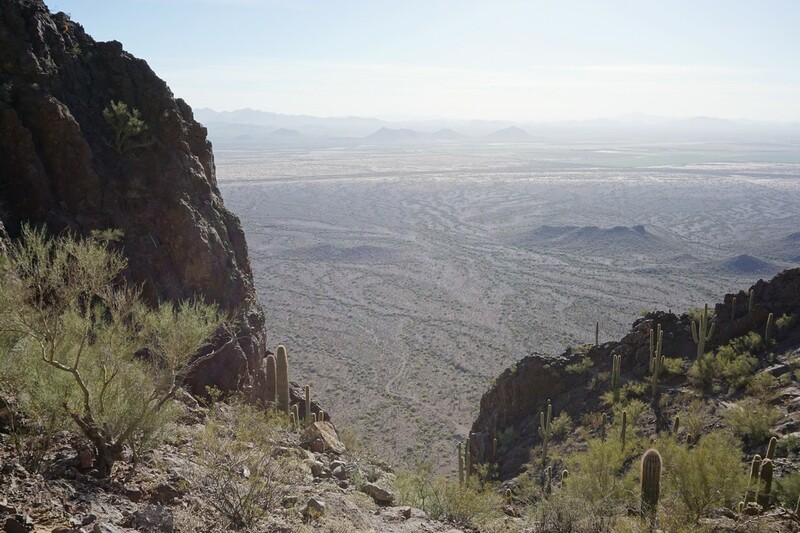 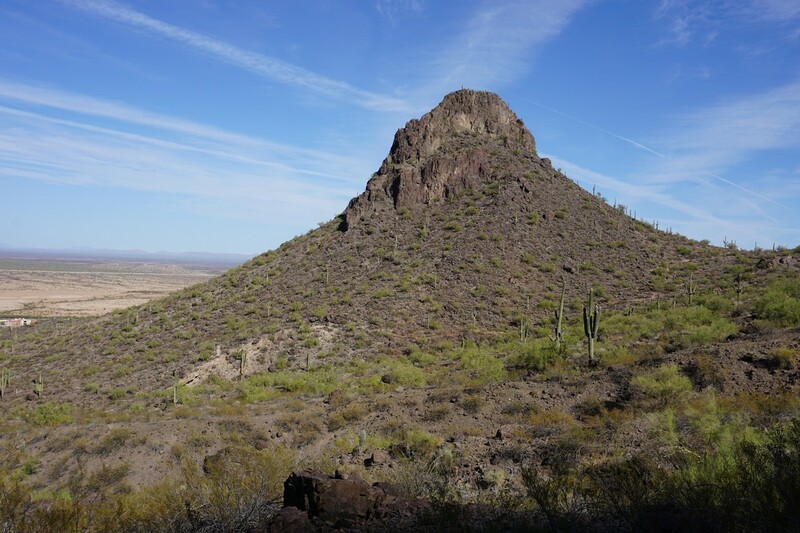 I have passed Picacho Peak many times driving from Phoenix to Tucson, but have never had a chance to make it up the mountain for a hike. 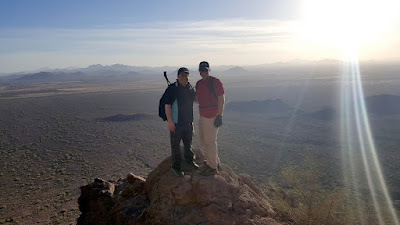 I figured that this trip, together with Yehudah, I would get it done. The mountain doesn't look so big, ut when you look closely at it and are close by it is actually foreboding with very steep cliffs and vertical terrain. 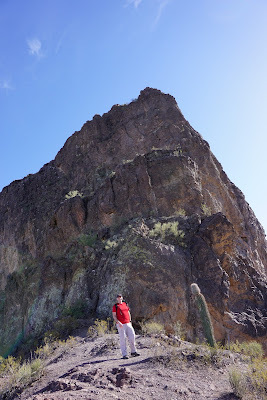 I was surprised just how difficult this mountain is, and at the same time how rewarding it was. We started at the Hunter Trail parking area, and took the Hunter Trail steadily up to the saddle. 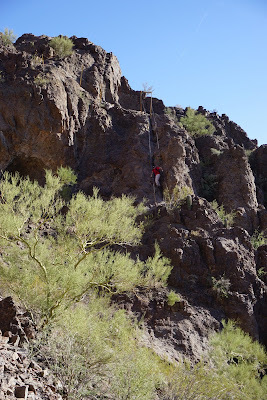 This part is steep and vertical but was easy being a typical climb. Once we got to the saddle, we continued along the Hunter Trail and were surprised to see it descenting down the mountain. 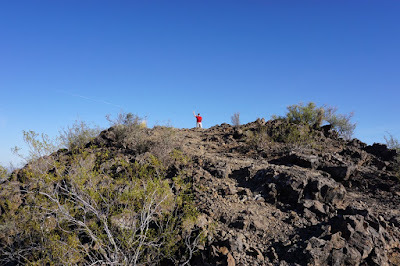 We asked someone coming up why the trail is going down; he said it was to go back up again. 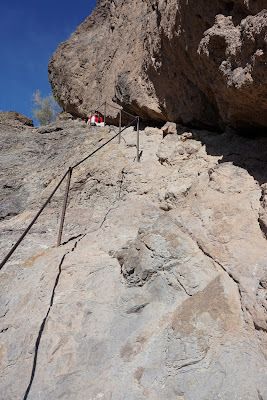 This down part is extremely steep and on cables. 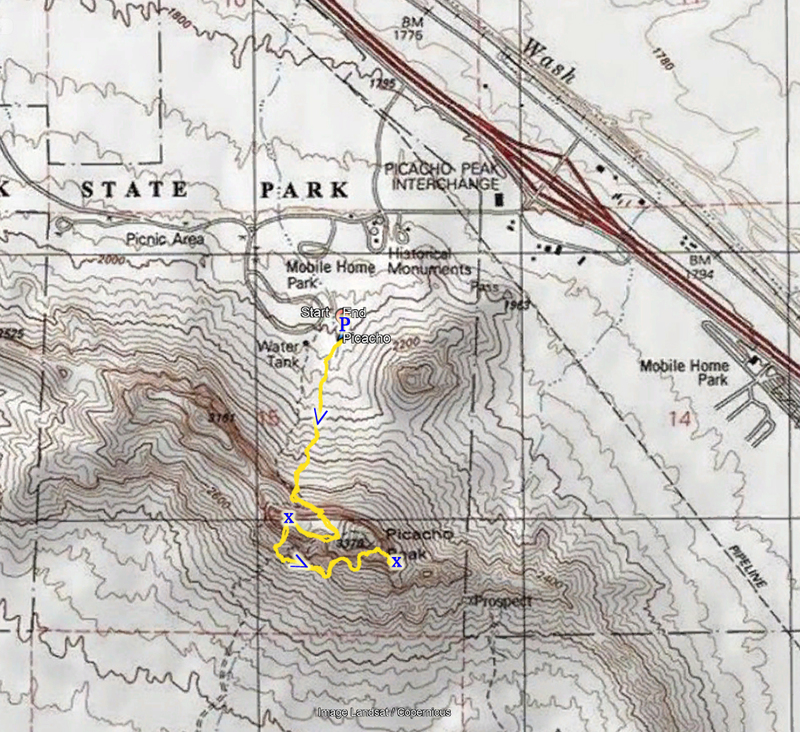 We almost turned around at this point due to the difficulty and the late hour, but we still forged ahead. 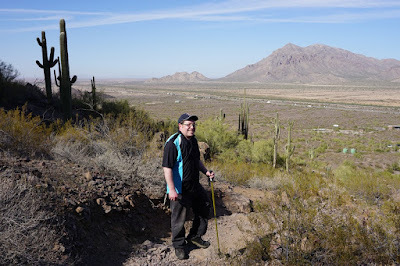 We continued along after the descent back on the ascent and up to the top of the mountain. 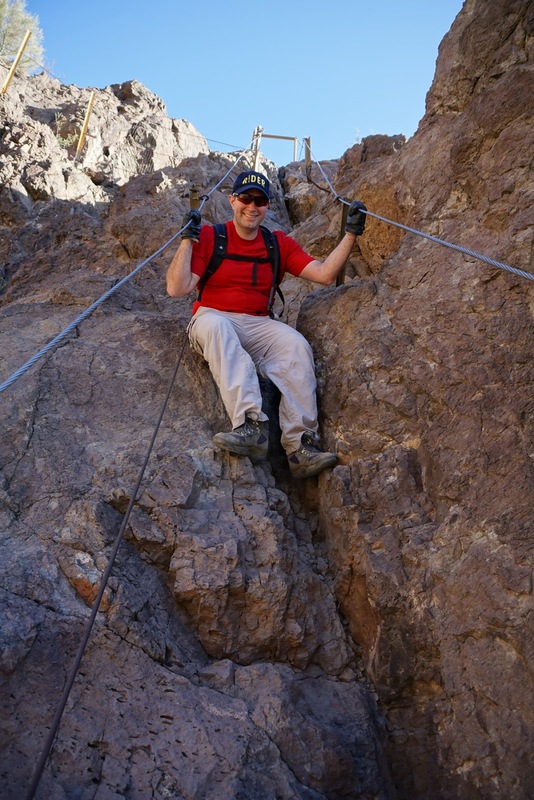 There are many excellent scrambles are rope-requiring areas because of the scrambles and cliffs. 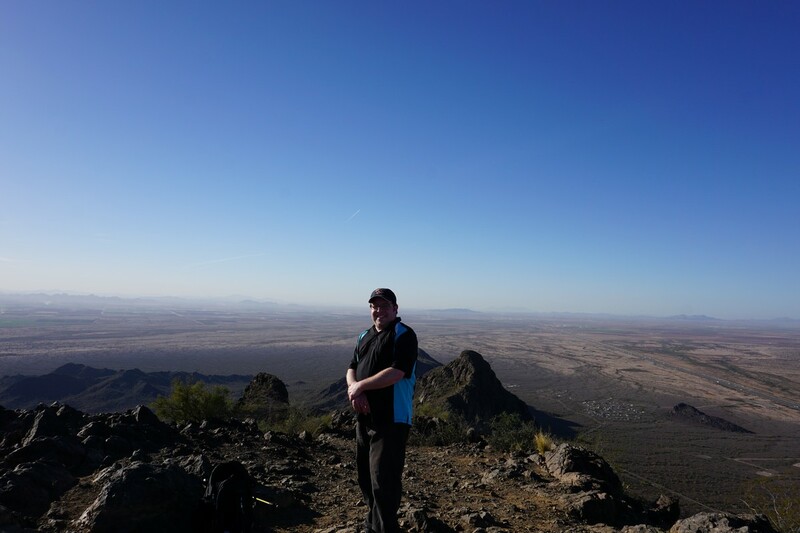 We took a well-deserved break at the very top of the mountain, and then headed back down using the same route.